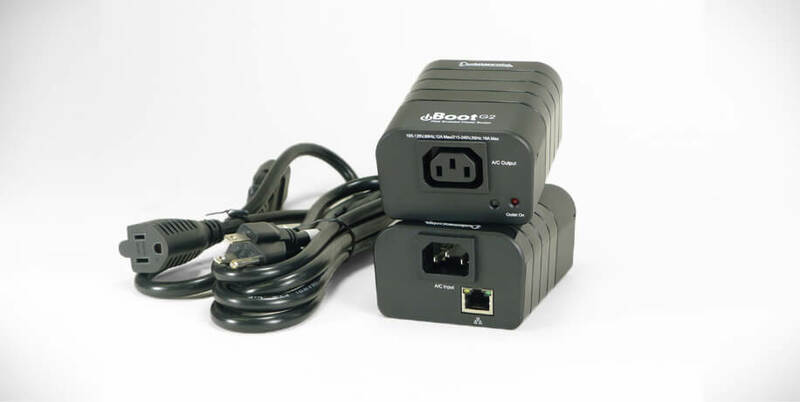 iBoot-PoE brings all the benefits of Automatic and Cloud Controlled reboot to your PoE cameras, access points, security systems and all PoE plus devices. 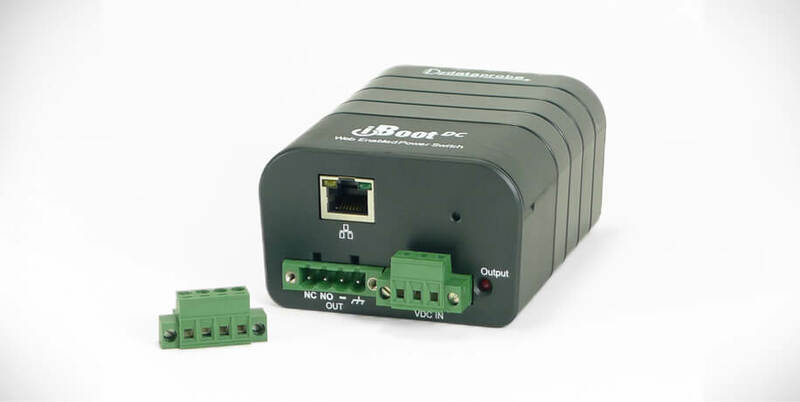 This Gigabit Ethernet PoE Extender supports up to 25.5 Watts of switching and automatic configuration. 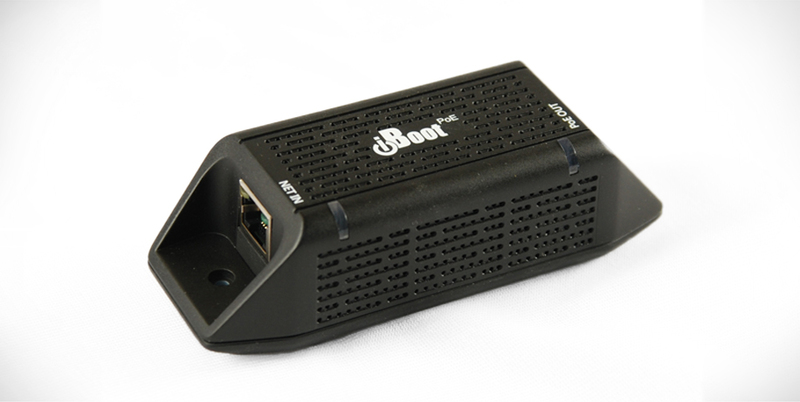 Add the Power Supply and iBoot-PoE becomes a full PoE Midspan Injector, with reboot! Request a hands on demo with our product here! Clean web page design makes it easy to see the status and control power to any outlet. 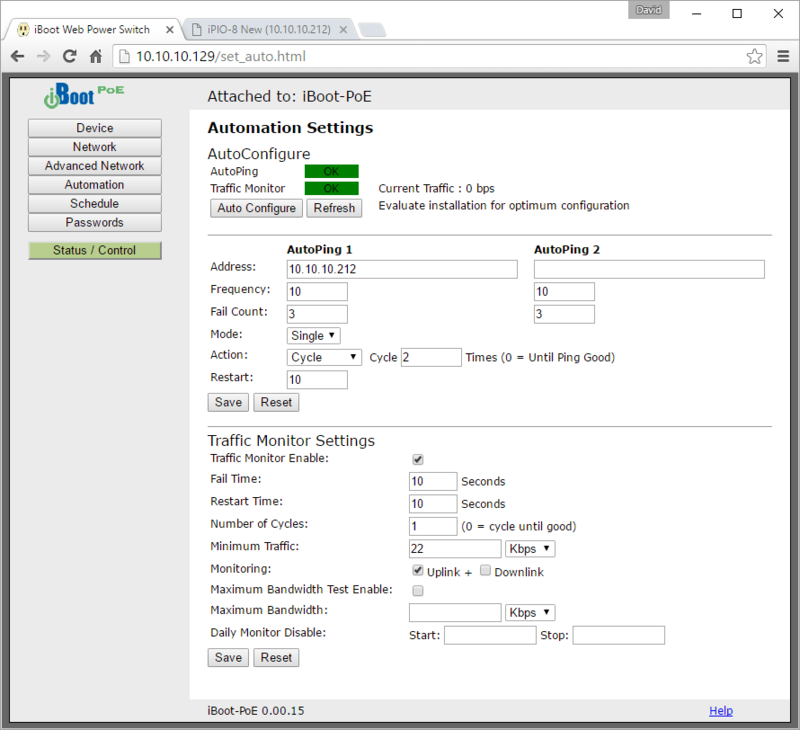 View the Status of the Automation, both AutoPing and TrafficMonitor. 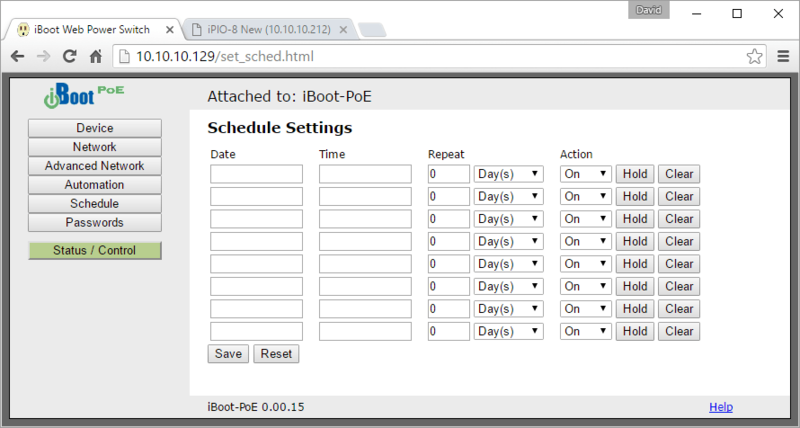 iBoot-PoE can self configure the automatic reboot. You can always manage or tweak the settings here. 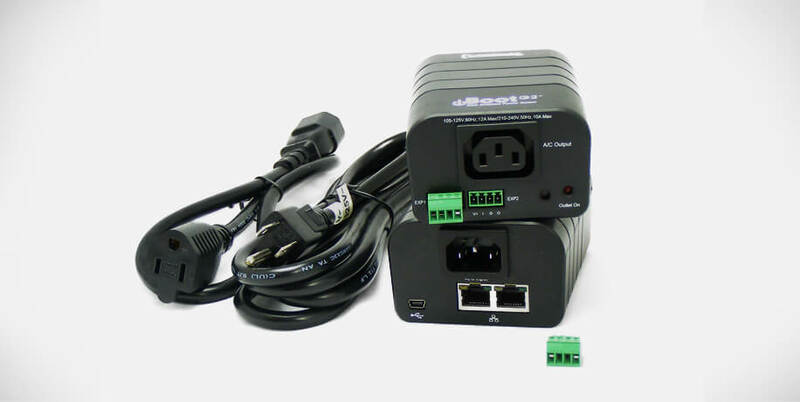 Completely self configured in standard DHCP environments. Just install and your network is protected. Control iBoot-PoE directly from your software application for the highest degree of power control integration. 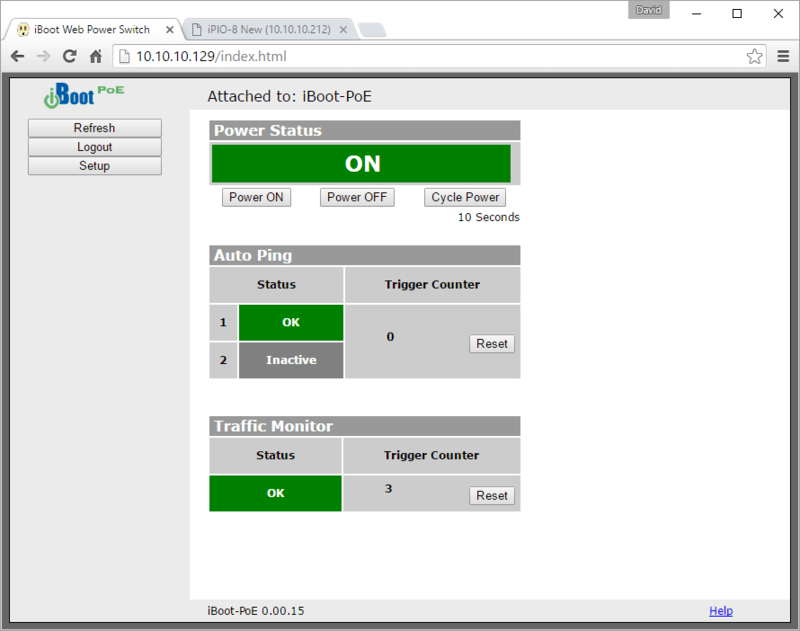 Easy integration with network monitoring from IPSentry, What’sUP Gold, SNMP Managers etc.